Augusta Road homes for sale range from classic and traditionally styled homes with old world charm to newly renovated single-family homes. Augusta Street, referred to as Augusta Road by locals, runs along the southeastern edge of the city of Greenville. The northern end of this community connects directly to South Main Street and stretches down past the I-85. Augusta Rd. homes for sale are less than one mile from downtown, and are in close proximity to the popular Augusta Road shopping district. Browse our listings below or keep reading to learn more about Augusta Road homes for sale. 149 Properties Found. Page 1 of 13. Augusta Road real estate is in a fantastic location. There are plenty of shopping and dining opportunities throughout the Augusta Road community. Enjoy living within walking distance to your favorite restaurant! Living in the Augusta Road community allows residents the opportunity to enjoy being close to downtown while having a quiet and tranquil neighborhood to come home to. Augusta real estate offers residents easy access to the beautiful parks of downtown Greenville, a truly great feature of this community. 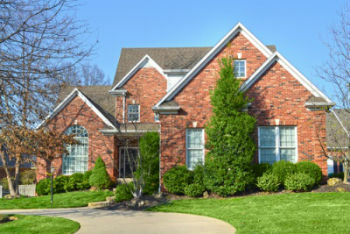 Augusta Road homes for sale are close to great amenities. The Augusta Road Business Association organizes annual events for the community, such as the Holiday Open house. Everyone is invited to come down to check out the city trolley, enjoy live music, and more! This neighborhood is zoned for two elementary schools, Augusta Circle Elementary School and Blythe Academy. Additionally, there is Hughes Academy Middle School and Greenville High School. As far as recreational amenities, there is the lovely Greenville Country Club Riverside Golf Course nearby for residents who enjoy golf, a YMCA, Cleveland Park and Falls Park. Augusta Road is a thriving neighborhood that’s a great place to call home. Learn more about Augusta Road real estate, contact RE/MAX Moves or call (864) 520-1000 today!